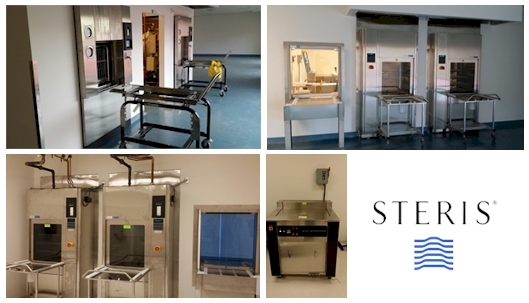 Design, Planning, Provision and Installation of complete central sterile department. Including STERIS washers, STERIS ultrasonic cleaners and STERIS steam sterilizers. Design, Planning, Provision and Installation of GE OPTIMA CT 660, OPTIMA MR 450, Senographe essential MAMMO, Precision Rxi Digital X-ray, OEC 9900 C-Arm. OR / Surgery Department: Design, Planning, Provision and Installation of STERIS Surgical Tables and OR LED lighting.